Eric Jackson from the Black Yield Institute talks food sovereignty and how he's working with Whole Foods to improve healthy food access from the ground up. The keynote at Natural Products Expo East  will focus on growing communities through access to healthy foods. The panel will feature Whole Foods Market Co-CEO Walter Robb and a number of policymakers and community activists including Eric Jackson, founder of the Black Yield Institute in Baltimore, which is working to create an action network and incubator of and for black people in pursuit of Black Food Sovereignty. He talks here about this work and how he came to sit at a table with Whole Foods talking about food access. Can you tell us about the Black Yield Institute? 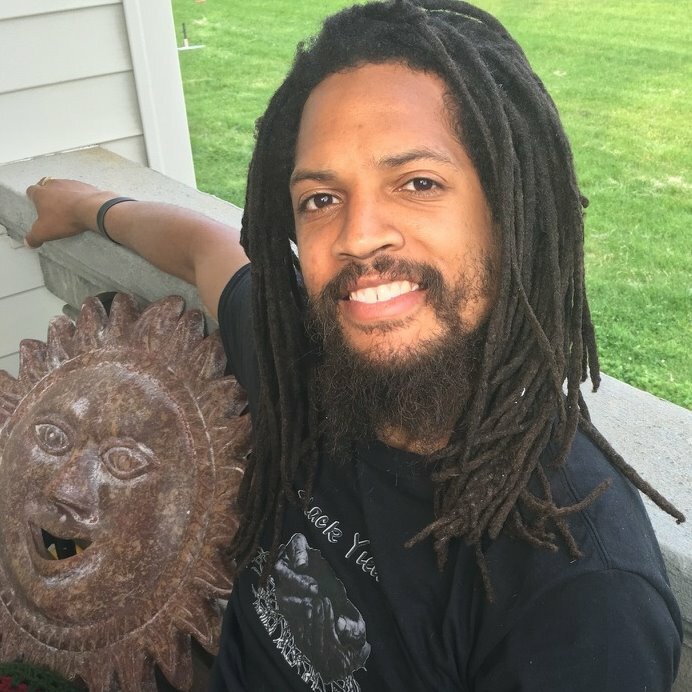 Eric Jackson: Black Yield Institute is an emerging pan-African institute that serves as an incubator and action network where black people control the research around food, the economies around food and politics in Baltimore and the Baltimore region, all in pursuit of black food sovereignty. foods to people and to children in school and elsewhere. And then there’s a research piece—finding bright spots and what the needs are and connecting them to local, state and regional food systems. We’re just 10 months out of the gate, and still doing a lot of development work. But the bottom line is, we’re thinking about black food sovereignty as a way for all of us to improve access to healthy affordable food. Because we can figure it out for our most oppressed people, we can get it done for all people. We can shift the tide to local foods and foods that support not only sustainability from an ecological standpoint, but sustainability in terms of community. What will you be talking about during your panel at Expo East ? EJ: I'll be on a panel about food access in Baltimore City. What I’m interested in conveying is the fact that we can engage food access work from a larger food sovereignty perspective, specifically black food sovereignty. In Baltimore, we’re working to address food access and also the power imbalances that cause these inequities and insecurities in food availability, specifically culturally appropriate foods—looking at why certain populations have access to healthy food and why others do not. Can you explain the partnership you have with Whole Foods? EJ: We're developing a partnership with Whole Foods and the Whole Cities Foundation. We can improve healthy food access from the ground up. We engage with communities about how they would like to access food, and what kind of food, and we’re working in partnership with a corporation in this most vital pursuit. I think what they learned through developing stores in Detroit and other places, particularly in black communities, is that when they built stores they were supporting local gentrification. And they wanted to figure out how to move forward in a different way. So we’ve been talking, and we were able to organize a meeting to discuss, what would a store look like? I have to give them credit—they asked for someone in Baltimore and got in contact with me. They didn't want to build a store and have that impact again. This partnership doesn't preclude them from criticism. I'm very clear about that. They came to Baltimore, met with me personally. I said I'm not going to speak for black people, what I can do is organize a meeting and you can pitch your idea of potentially building a store. That’s pretty much where we are in this relationship—figuring out how we can leverage resources in order to move toward the vision of a self-determined food system. Do you have any messages for people and companies in the natural foods industry for how they can contribute to better food access and availability? EJ: The easy answer is to say they can give corporate donations for this work. And from my perspective, that’s necessary—but also important is the knowledge-sharing around how to manufacture these things, and the skills to get into these markets, even if it’s on a local level. That would mean corporations being willing to share knowledge, and also figure out different business models so their products, specifically health foods, can be available to the most oppressed of our people. Long-term, we need to be able to develop corporations that don’t necessarily take the same business values as in capitalism, but can learn how to get into the industry even if they just work on a local level. Multinational ventures, they perpetuate these cycles of oppression. We’re interested in supporting people, and supporting the development of manufactured goods we feel are necessary, and leveraging political power for the acquisition and the control of land to produce our own food—that’s what I hope to lift up. It’s about money and access to healthy food, but what I’m talking about is institution-building, and developing black businesses that are operated and owned by descendants of Africans. We want to be able to have access to healthy food and control production. References to Expo East have been clarified to reflect that Eric Jackson spoke at the 2016 event.